While many people across the world may be celebrating a different holiday this April 20th, here at Mullins Farms, we’ll be all about lima beans that day. In case you’re not aware, April 20, 2012 is Lima Bean Respect Day. Personally, I’m not a huge fan of the lima bean, but I can certainly respect it. It’s a mighty food and deserves our recognition. Named after Lima, Peru, where they have been grown and cultivated since 6000 B.C., lima beans are primarily large flat beans that are pale green in color with a creamy texture and buttery flavor. Also known as butter bean, the lima bean is grown for its seed, and eaten as a vegetable. It’s low in fat and high in copper, fiber, iron, manganese, and potassium. Lima beans also contain protease inhibitors, which are known to slow the development of cancerous cells. Did you know that the lima bean is actually a legume, not really a bean at all? It’s true! Making a lima bean dish is the perfect way to honor the food on Lima Bean Respect Day this year! Baby lima beans are a popular ingredient in Japanese desserts, like bean paste. Other types make excellent additions to soups, casseroles, and spreads. In the southern part of the United States, a popular lima bean dish is Succotash; made with lima beans and corn. Cook the lima beans according to the package directions; drain and set aside. In a large stainless heavy skillet, heat the olive oil on medium. Cook the ham until browned; add the butter to the skillet. Add the onion and bell pepper and cook over medium until softened, about 3 minutes. While that is cooking, cut the corn off of the cob and use the dull edge of the knife to scrape down the milk; set aside. Add the okra to the onion and bell pepper; cook over medium for about 3 minutes, stirring occasionally. Add the drained Rotel, corn, and sugar; cook and stir on medium for about 5 minutes. Add the fresh chopped tomato, lima beans and cream, reduce heat to medium low and cook for about 10 minutes or until heated through; stirring occasionally. Season with salt and pepper; taste and adjust seasonings as needed. In the Southern United States the Sieva type are traditionally called butter beans, also otherwise known as the Dixie or Henderson type. In that area, lima beans and butter beans are seen as two distinct types of beans. In the United Kingdom, “butter beans” refer to either dried beans which can be purchased to re-hydrate, or the canned variety which are ready to use. In culinary use, lima beans and butter beans are distinctly different, the former being small and green, the latter large and yellow. 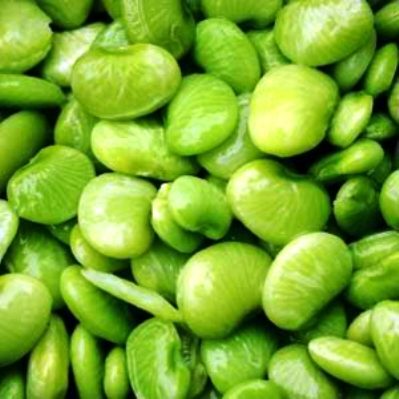 In areas where both are considered to be lima beans, the green variety may be labeled as “baby” (and less commonly “junior”) limas. Fry bacon and onion in a skillet. Stir in flour, salt, pepper, bay leaf. Gradually add tomatoes and juice, stirring until thickened. Add lima beans. Put into a 1 1/2 quart casserole. Combine bread crumbs and butter. Sprinkle over beans. Rinse lima beans. Add to boiling water in large saucepan. Boil 2 minutes. Cover. Let stand 1 hour. Tie together bay leaf, celery leaves and parsley. Add to lima beans. Boil 1 hour. Drain lima beans, reserving 1 1/2 cups liquid. Heat oven to 250ºF. Arrange drained lima beans and sliced turkey in layers in 2-quart baking dish with slices of pork on top. Combine molasses, brown sugar, dry mustard, salt, pepper and onion with 1 1/2 cups liquid from lima beans. Pour over lima beans. Cover. Bake at 250ºF for 2 1/2 hours. Remove the cover. Pour sherry over lima beans. Bake 1 hour. 8 servings. This entry was posted on Tuesday, April 17th, 2012 at 7:24 PM	and is filed under Misc.. Both comments and pings are currently closed.